On this very happy Baptism Day may God, who loves us all Smile down upon this child of yours. So precious and so small. 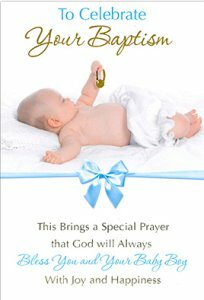 May He guide your newborn baby throught the years that lie ahead, may His blessings light the pathways where those tiny feet are led. With Congratulations and Best Wishes.